This carrot and zucchini soup has it all. First, it’s delicious, always the most important consideration. Second, it’s healthy. And third, it’s incredibly easy to prepare. Just follow the visual recipe. The full printable recipe is at the end of the post. There is nothing like a hot bowl of soup on a cold day. 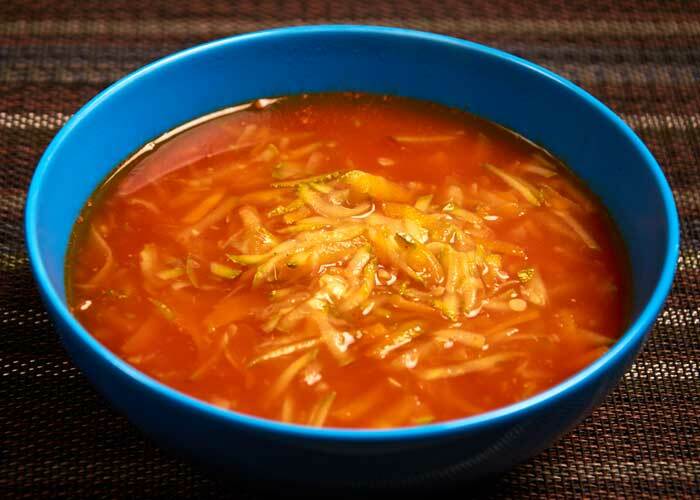 This soup is a great light lunch or starter for the comida, the large meal of the day served around 2:00pm. It’s a good choice is you are looking for a vegetarian option. 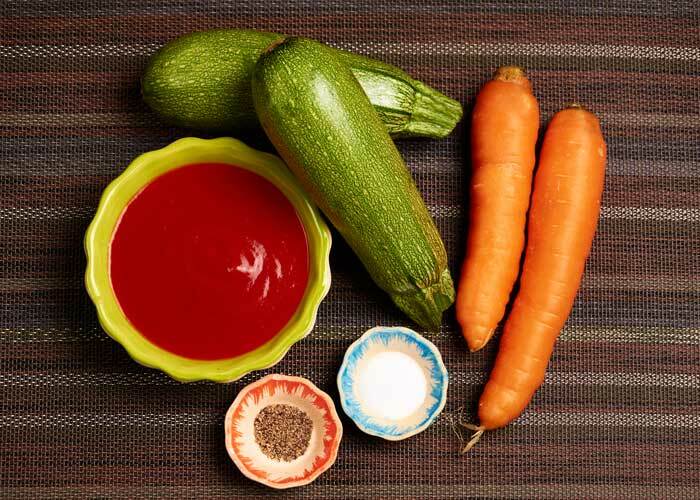 Start by collecting your ingredients: 2 medium zucchinis, 2 large carrots, 1 cup of tomato puré, 1 teaspoon of salt and 1/2 teaspoon of black pepper. All of the soup ingredients. Next, shared the carrots and zucchini. A box grater does the job in a few seconds. 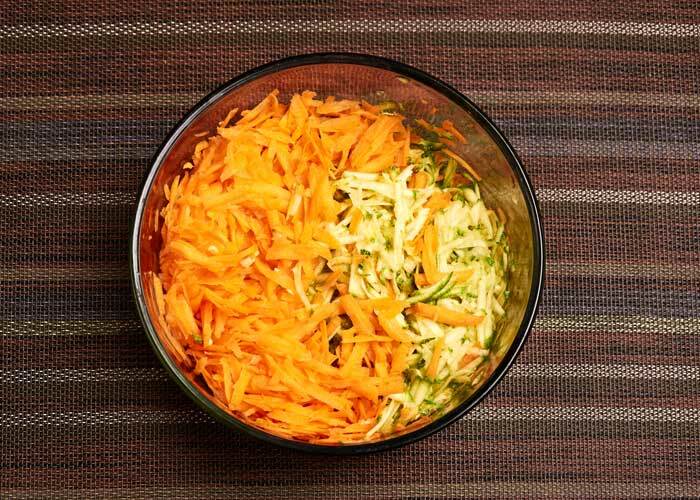 The first step is to shred the carrots and zucchini. 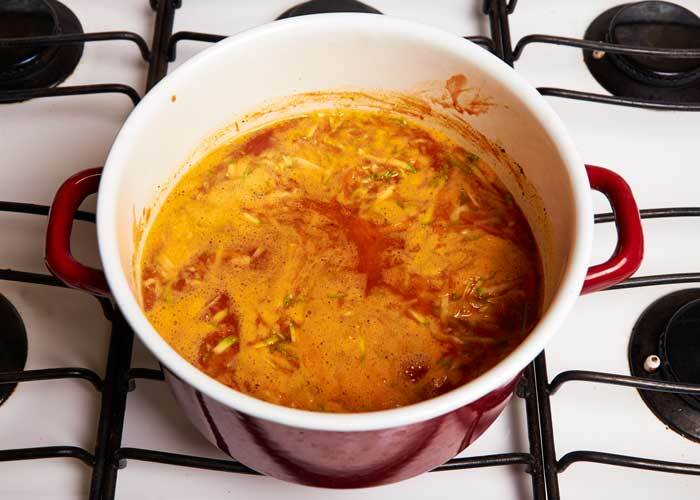 Heat a soup pot over medium heat then add 2 tablespoons of cooking oil. 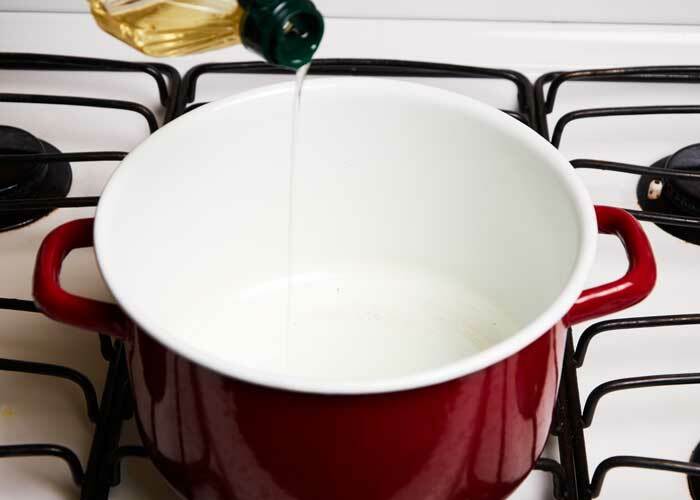 Add 2 tablespoons of cooking oil to a medium hot pot. Add the shredded vegetables to the pot and sauté for 2 minutes. Don’t brown the vegetables. 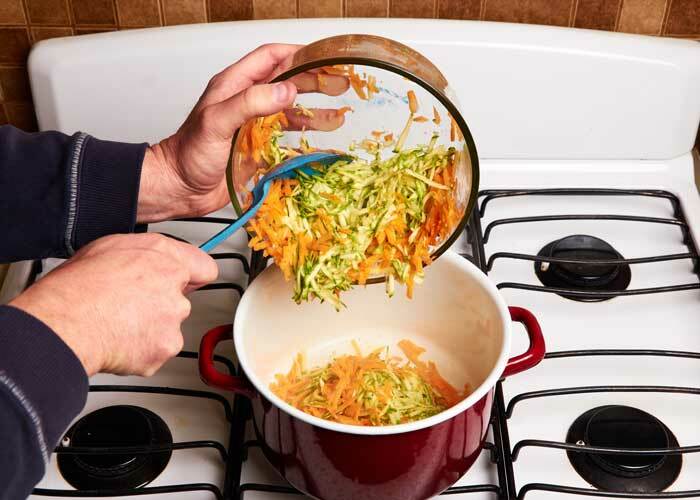 Add shredded vegetables to your pot and sauté for 2 minutes. Add the tomato puré after you have sautéed the vegetables. Add the black pepper too. Add the tomato puré to the pot. Mix in the tomato puré. 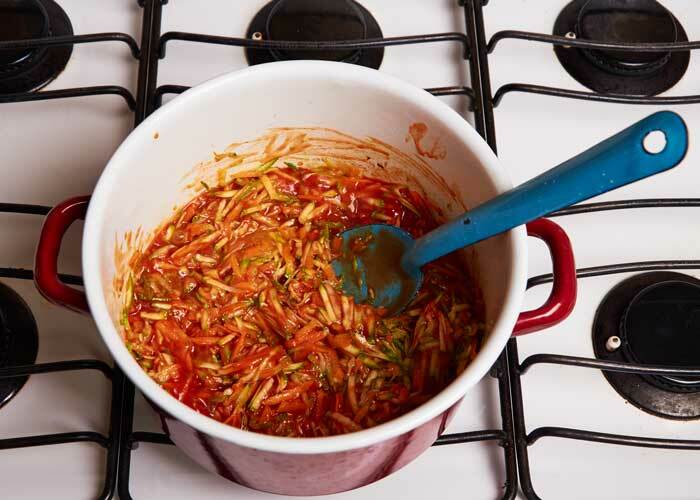 Stir the tomato puré into the vegetables. Add 1 quart of water and bring to a boil. 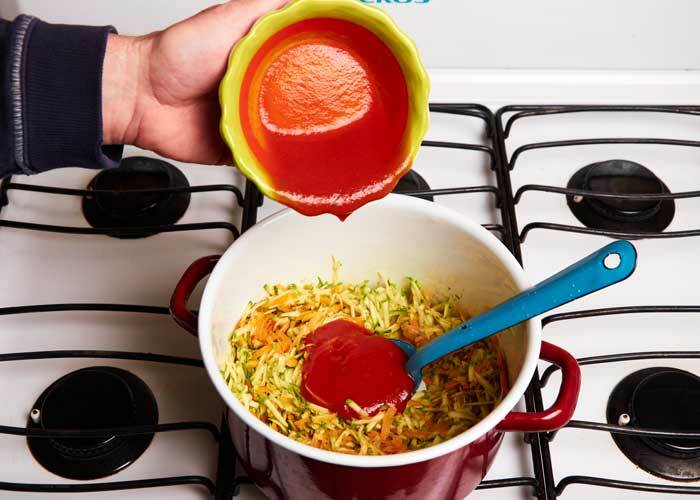 The water should cover the vegetables by about 1/2″. If it doesn’t add just enough water until it does. Add 1 quart of water and bring to a boil then simmer for 10 minutes. Cook for 10 minutes until the vegetables have softened and the broth has reduced a bit. 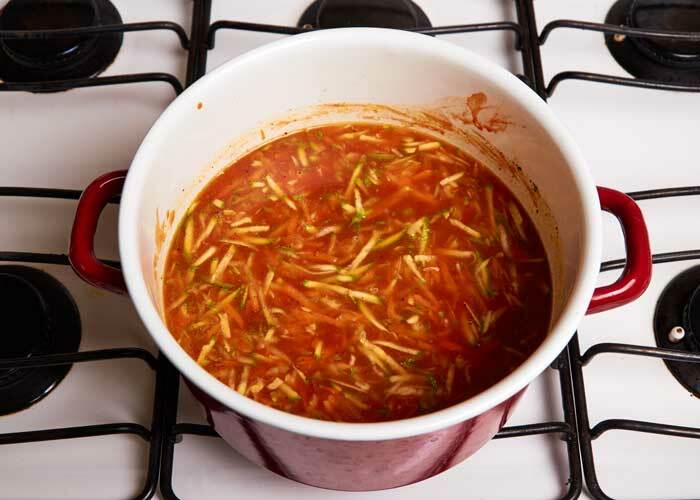 A delicious carrot and zucchini soup. Serve with a nice piece of hearty bread or with warm corn tortillas. Let us know what you think of this recipe. 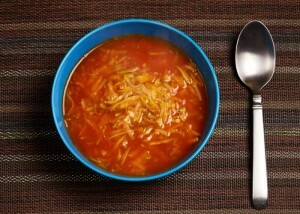 Delicious Mexican style carrot and zucchini soup that only takes a few minutes to prepare. Mince 1/2 of a serrano chile and add to the vegetables when you sauté them to add some spice to the soup. The soup will keep well for two days in the refrigerator if you have any left over which is unlikely.